Wes Craven knew how to make horror movies that had a purpose. There was action, suspense, drama, comedy, romance, there was a little bit of everything when you sat down and watched a Wes Craven film. He didn't just sit you down in front of a screen and throw a bunch of creepy and unnecessary images on the screen, he actually made a movie where you had to use all of your thought process to figure out what's going on. Long before I was able to sit down and figure out a movies plot just from the trailer alone and the actual ending deduced from the first five minute of the movie, Wes Craven created films that didn't give you time to think. As a matter of fact you didn't want to think because you were having such a great time watching the actual movie. There are few men in the history of movie making that actually made you want to watch the movie and not even care about what's going to happen in the end, he was a master movie maker, something that is sorely missed today. He's the creator to two of the most successful horror movie franchises ever, A Nightmare On Elm Street and Scream. His next biggest movie outside of those two franchises, (in my opinion I should state), The People Under The Stairs. It was big in the box office and it ran a lot during the early days of cable on Sunday afternoons and on the SyFy channel. He's also the creator of the generally known film series called The Hills Have Eyes. He also helped produce Wishmaster, a film that wasn't really that good but had a lot of cameos from the biggest names in horror movie lore. In that movie the actors who all played Freddy, Jason, Candyman, Darkman and even Verne Troyer showed up in the movie, and that's the big reason why I enjoyed it, it payed homage of sorts to a lot of franchises when you pay attention. He also had a good one hits in my book with Dracula 2000, Carnival of Souls and making Swamp Thing into a big film adaptation. And he also directed a popular movie amongst black people Vampire In Brooklyn starring Eddie Murphy. His later work includes a tv series adaptation for Scream on MTV that seems to be popular as well as the 2009 remake of his original film The Last House On The Left, with My Soul To Take being his last film released in 2010. Basically the man made some pretty good horror movies outside of his signature franchises. He once said that horror films don't create fear, they release it. He had a knack for scaring people senseless and having a payoff in the end to send people home happy. These days too many people try to make horror movies where everyone just dies a horrible death and that's it. There's no real direction with horror movies because they payoff is where you can make the most people go home scared from the craziest ways of dying. I think a lot of films delve too much into those points without developing characters or setting up plots where they can survive more than just one film, that's why a lot of them are rebooted. That's why any number of his films are able to go up and continue it's storyline continuity because it developed itself during the course of the film. That's something that will be sorely missed with him and other liked minds that no longer make movies. The generation of wanting everything now rather than later has made sure that storytelling is a thing of the past. 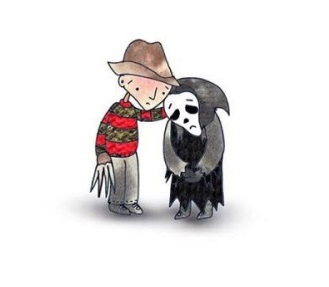 Wes Craven was renowned universally not only by his peers but amongst fans themselves. Whether they are Black, White, Asian, or Latin, he earned the respect of so many people by making good movies and making them to the best of his ability. This is one of those times where I reiterate how minds like Craven need to be nitpicked for all that they know so that they can continue to inspire and teach people for decades to come. When I think of horror movies I think of Freddy right off the top of my head and when I think deeper into it I think of the Scream series as one of the first ones when talking about the best. I'm really glad that a lot of people and film institutions are honoring Wes Craven for the innovator of Horror as they should. 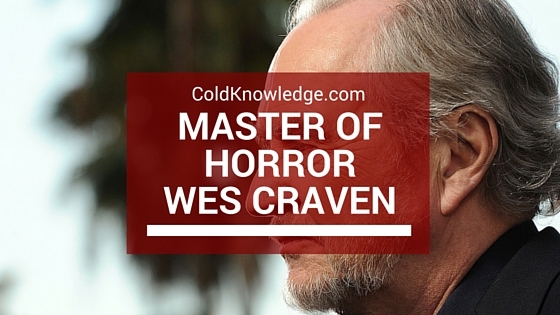 Do you have any favorite parts from the Wes Craven movies that you know about? If so leave a comment in the description below.